San Antonio Charter Bus Services is a premiere charter bus rental company that provides the best transportation in San Antonio. Acting as a broker for over 50 different charter bus companies around the san Antonio area. Our charter buses range anywhere from 30 to 50 passengers or we can also accommodate those smaller parties with our wide range of sprinter vans that can hold anywhere from 12 - 15 or passenger vans. We do the work so you don't have to as the fastest and easiest way to book a charter bus in San Antonio TX. We are the largest broker for charter bus services in Texas. San Antonio party bus rental has been in business for many years providing people with the simplest way to organize transportation. Taking a charter bus can be the easiest way to travel these days with the riing cost of Gas Prices insurance and cost of even owning a vehicle can be pricey. We can offer charter services that reduce the cost of your daily trip or monthly trip to the grocery store or to other areas in the city. 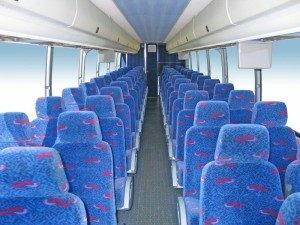 If you are looking for a San Antonio bus rental Services We will provide you with a long list of choices ranging anywhere from shuttle vans and limo buses to large party buses or tour buses. We also cary Mercedes sprinter vans, and passenger buses that all come in a variety of sizes, colors, models, and shapes to choose from. san antonio party bus rental services makes choosing the perfect charter bus easy. We search everywhere to make your experience the best. We have many different options to choose from. IN fact hundreds of vehicles. When you fill out our quick quote we narrow it down to only the best options and let you pick. San Antonio Party Bus Rental provides its customers with the best priced charter busses with the largest selection. Because we are a broker we are able to handle all your charter bus needs taking the time to find a bus that is within your price range and quality that is unmatched by searching for yourself. We currently cover Live Oak, Victoria and surrounding areas our other markets in southern Texas include Buda, San Antonio, Kyle, Austin and Galveston.